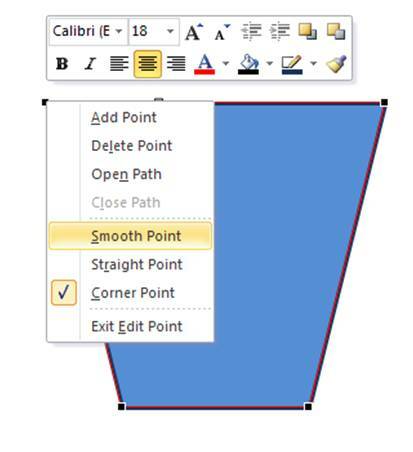 In this simple tutorial, you will learn how to play with Shapes in PowerPoint to create your custom diagram easily. Unique shapes are useful to convey concepts. The more shapes you have at your disposal, the easier it gets to convey your ideas accurately and quickly. 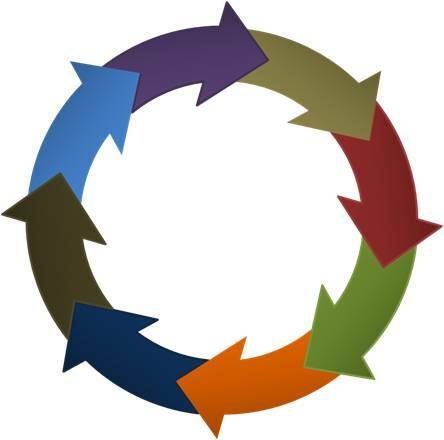 If the hub represents leadership, the blades may be resources, planning, policies, system etc. If the hub represents profitability, the blades are revenue generation, cost reduction, accurate accounting etc. In essence, hub represents the core idea, and blades represent supporting elements. 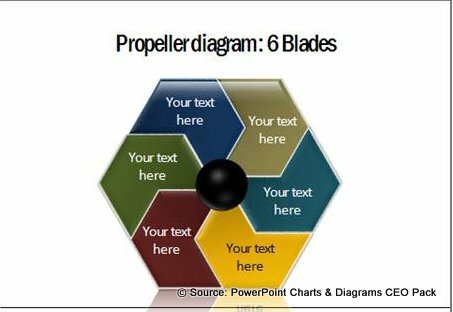 While ‘Hub’ is nothing more than a filled circle, it is the shape of the blades that makes the diagram look attractive and different. Though the blades look quite difficult to create, in reality it is surprisingly easy to create the shape. 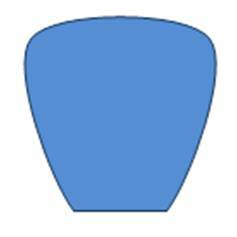 First, draw a trapezoid shape from the auto shape menu. 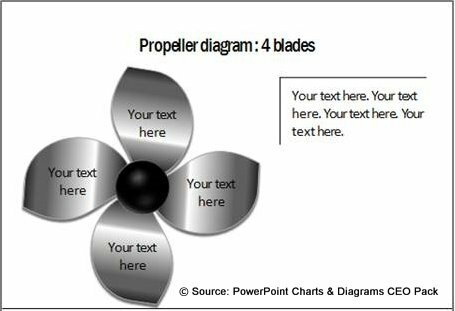 You can arrange the bottom edge to form the shape of a triangle, square, pentagon or any other shape depending on the number of blades you want in the propeller. 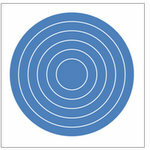 The final step is to draw a circle big enough to cover the shape formed in the middle. You can fill the blades with any color gradient you want. 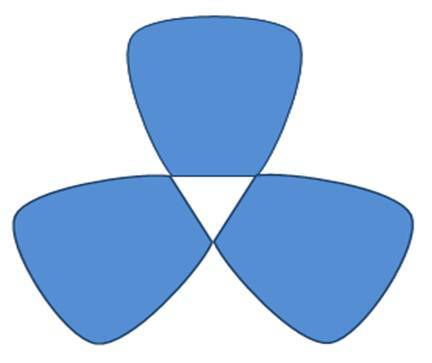 Propeller with 6 blades created using Chevrons. 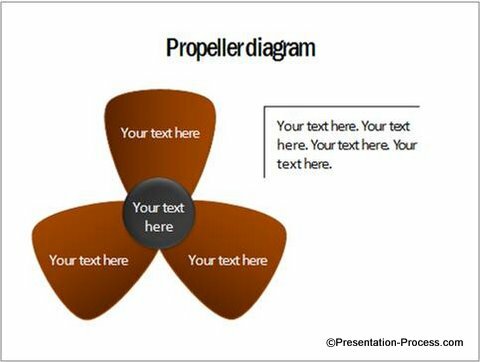 The above diagram templates are part of our ‘PowerPoint charts and Diagrams CEO pack ‘. The pack has a whopping 750+ breathtaking diagrams to suit every business need imaginable. The diagrams are fully editable. 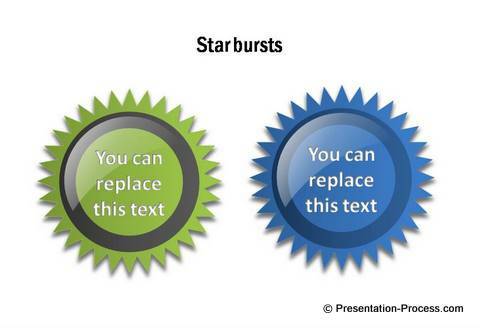 This means you can pick individual elements from different slides and make your own diagrams. The pack is so comprehensive that we give a unique ‘comprehensiveness guarantee’ that no one else offers. Since the diagrams are created by business professionals, every diagram is relevant to a business user. If you make critical business presentations, and want to get a professional look and feel to your slides, consider purchasing our ‘PowerPoint Charts & diagrams CEO pack’. It is an investment worth making. 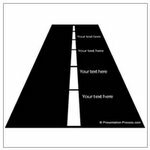 A visual slide always trumps a text based slide in its effectiveness and appeal. 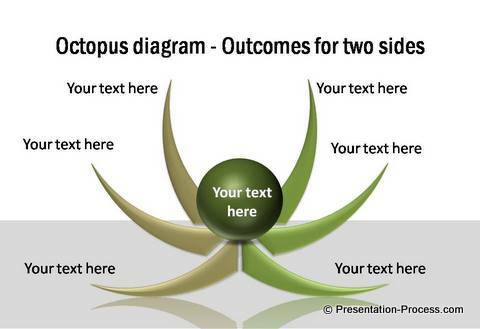 When you convey your ideas using diagrams your message becomes memorable. 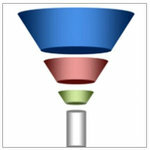 This site has a number of useful tutorials to help you make a wide variety of business diagrams. Please go through them and recommend to your friends.